Why chose this Performa Blue PLA? Our Performa PLA is one of the most popular materials for 3D printing. And for a reason: it has a relatively low melting temperature, low warp properties and is biodegradable (at least under warm and moist conditions). 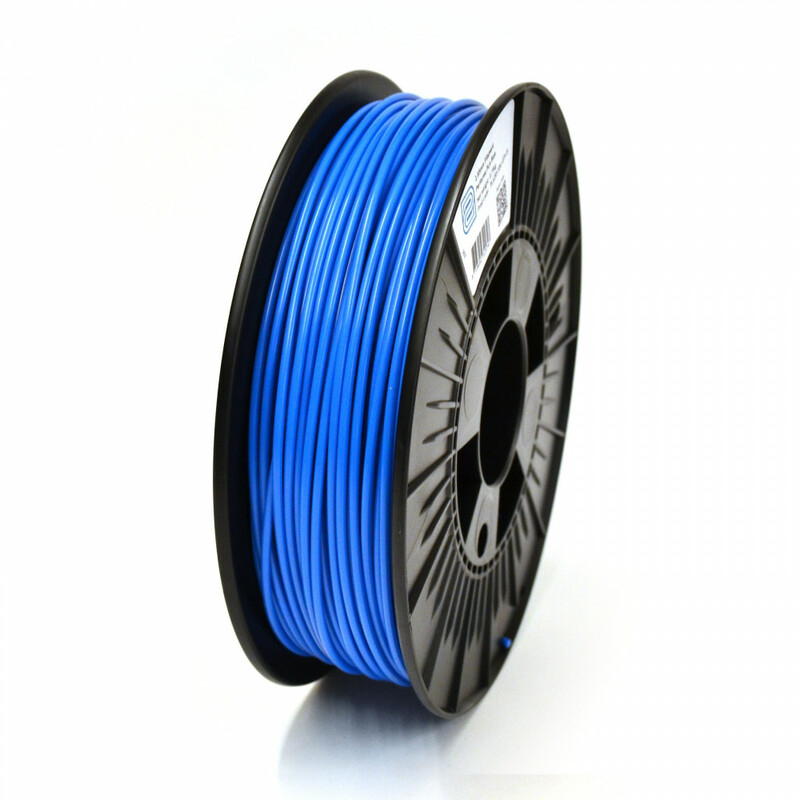 This 1.75mm PLA filament is a hard and strong plastic especially produced for 3D printing, use it to your imagination! 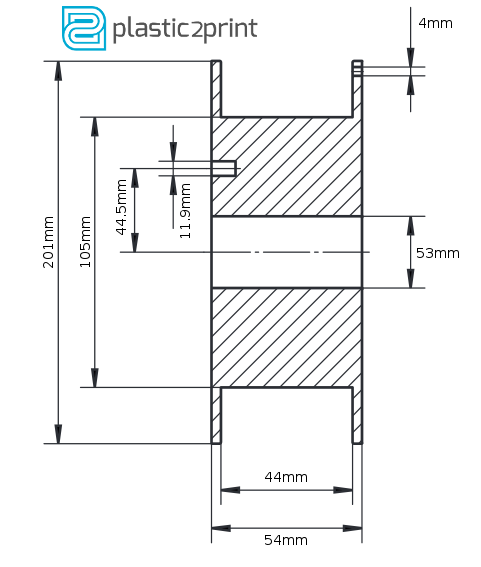 For successful printing correct temperature settings are essential. The material properties of PLA are shown in the table below. At the glass transition temperature the polymer changes technically from a solid to a rubber. As a result the strength of PLA parts is reduced when used above this temperature. At the melting temperature (it is more a melting range to be precise), the viscosity drops dramatically and the polymer can be pushed through a nozzle. Doesn't that sound like printing? The printing temperature is always higher than the melting temperature to achieve proper heat transfer to the filament. All Performa filament will be shipped on a plastic spool, to prevent entangling. The spool itself will be shrinkwrapped and packed in a cardboard box to protect against dust and dirt. To make it complete: we add silica gel drying agent to fight against moisture. If you want to learn all about this material, please check the full technical data sheet.